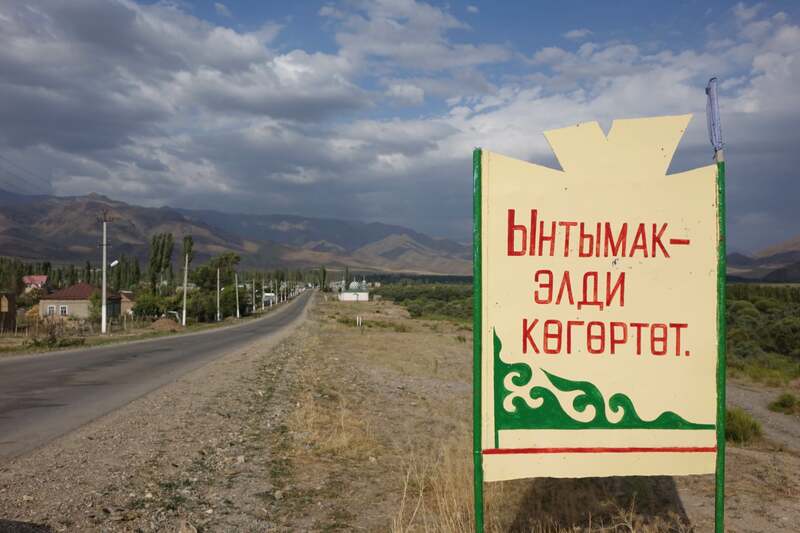 In the article we engage with Laura Nader’s famous concept of “harmony ideology” from a practice-oriented perspective by taking ethnographic material from Southern Ethiopia and Northern Kyrgyzstan. To everyone working on the concept of yntymak in the Central Asian context and on intergenerational dynamics, this paper might be helpful. Also to researchers working on the ‘cultural neighbourhood’, on interethnic relations or on the concept of ädamo in Southern Ethiopia. This entry was posted in Allgemein, anthropology, Central Asia, field research, Kyrgyzstan, politics, theory on 23. June 2017 by Judith Beyer. Institute for Advanced Study, Konstanz. 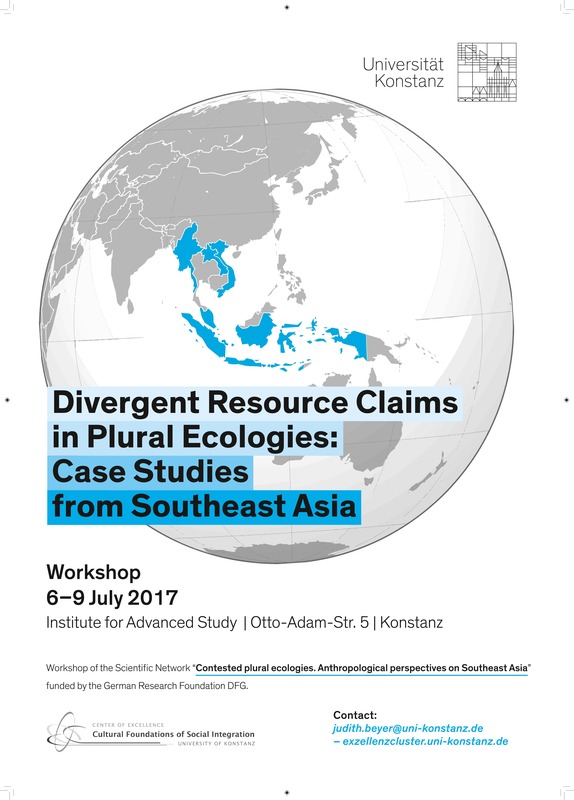 In this workshop, we intend to investigate divergent claims to resource access, thereby furthering our common interest in plural ecologies across Southeast Asia. Following Ribot and Peluso’s Theory of Access (2003), we define access to resources as the “ability to derive benefits from things – including material objects, persons, institutions, and symbols” (2003:153). Access to natural resources (such as land, water, mineral resources) is always legitimized, negotiated, defended, and denied through the recourse to cultural resources. Cultural resources include economic (markets, infrastructure, etc. ), political (legitimation discourses about civil rights, ethnicity, indigeneity cultural heritage, etc. ), and religious (traditional knowledge, cosmology, etc.) forms of power and influence. In social-political practice, natural and cultural resources never appear separately but are always intertwined, and, to a certain extent, interdependent. Competition for and claims to resources is decisive since privileged access and the inclusion of a particular group usually involves the exclusion or neglect of others (see Hall, Hirsch, & Li 2011: 8, 13; Adhuri 2009). We here consider the concepts of majority, minority, and indigeneity as political constructs functioning at the interface of local identity claims, traditional resource demands, the enforcement of national laws, and internationally promoted human rights. The “right to culture” is central in the recent development of collective human rights (see, for example, Francioni & Scheinin, 2008; Stamatopoulou, 2007) and the United Nations Declaration on the Rights of Indigenous Peoples (United Nations, 2007). Among others, it concerns the granting of long denied access to resources and promotes the advancement of group-specific rights on a national level, which is fostered by an increasing number of decentralization and demo- cratization processes in Southeast Asia and does not go undisputed as it leads to the exclusion of non-group members (compare e.g., F. v. Benda-Beckmann & K. von Benda-Beckmann, 2010; Kymlicka & Norman, 2000; Rosaldo, 2003; Taylor, 1994; Young, 1989). In debates on minority and indigeneity the question is whether it is justified to grant specific rights to individuals or groups within a state for historic reasons (see, in particular, Barnard, 2006; Bohnet & Höher, 2004; Guenther et al, 2003; Preece, 2005). Again, this implies a close interlinkage of political, cultural and natural resources. new light on debates about diverging normative orders, the translation of individual and collective human rights, and the (sustainable) management of a broad range of resources. For a full programme of the workshop see here. This entry was posted in Allgemein, anthropology, conferences, field research, Myanmar on 23. June 2017 by Judith Beyer.